NEW YORK (WABC) -- One jackpot-winning ticket was sold in Friday night's Mega Millions drawing, a lottery official said. The winning ticket was purchased at a Speedway gas station in Cambridge City. 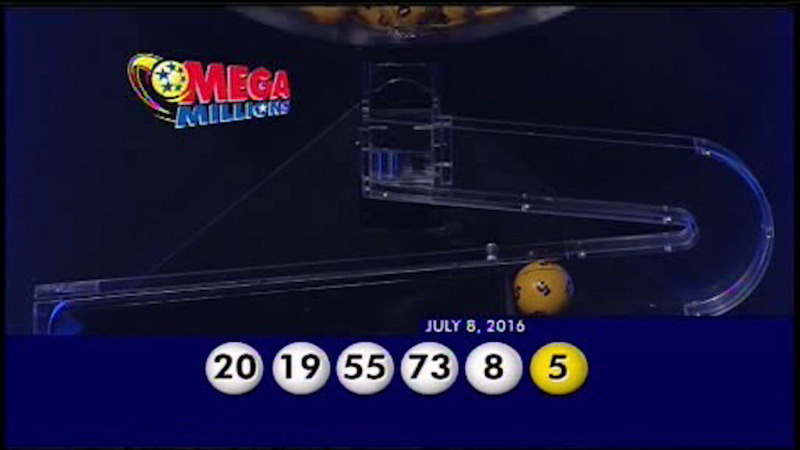 The winning Mega Millions numbers Friday are white balls 8-19-20-55-73 and Mega Ball 5. The $540 million estimated jackpot is the third largest in the history of the game and offers the winner the chance to take payment of the estimated $540 million as a 30-year annuity or in a one-time lump sum estimated payment of $380 million (both before taxes). The price of a Mega Millions ticket starts at $1, with players trying to match their numbers to the six numbers selected in the drawing. The odds of winning any prize is 1 in 14.7, and the odds of winning the jackpot are a whopping 1 in 258,890,850. You have better odds of getting struck by lightning. Still, despite those seemingly insurmountable odds of winning millions, people have been able to win some massive lottery jackpots over the years, with three lucky winners recently splitting the record-setting $1.586 billion Powerball jackpot in 2016. The person who purchased the winning ticket for that jackpot in California still hasn't claimed their prize. Most importantly, when playing the lottery, you should do so safely and responsibly. Make sure to sign the back of your tickets, take proper precautions before joining lottery pools and choose a trustworthy wealth management team if you end up winning. And if you know someone who might be playing the lottery irresponsibly, call 1-800-522-4700 or visit the National Council on Problem Gambling website to learn how you or a loved one can receive help. The odds of picking the correct numbers on five white balls and one yellow ball are 1 in 259 million. Mega Millions is played in 43 states plus the District of Columbia and the U.S. Virgin Islands. You can see the next live drawing Friday night on Channel 7 and the Watch ABC app, just before Eyewitness News at 11.